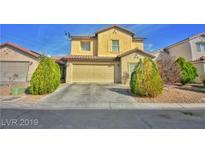 Find Las Vegas, NV Homes for sale. View Photos, Maps and MLS Data Now! Rancho Las Brisas - Rm. To Backyard*fully Landscaped Front & Back* MLS#2090685. Centennial Real Estate. Sunrise Meadows - All with a Monthly low HOA. This Beauty will not last!! ! MLS#2090352. Signature Real Estate Group. Canyon Gate Country Club - Formal living & dining, plantation shutters, trey ceilings, new paint, family rm remodeled to contemporary style, large butted MLS#2090373. Luxury Homes of Las Vegas. patio in back, and two decks upstairs. MLS#2090613. TMI Realty. Sparkling Pool/spa, & an outdoor kitchen/BBQ with fridge. MLS#2089735. Coldwell Banker Premier. Russell Grand Canyon - Spacious backyard w/sparkling pool & spa, outdoor kitchen+ garden beds. Oversized 3rd car garage+RV parking+gate. MLS#2089263. ERA Brokers Consolidated. Summerlin Village - Home has over $100k in upgrades. Home is Very Quiet. MLS#2090543. Realty ONE Group, Inc.
Steeplechase - Bedroom and full bath downstairs and RV parking on both sides of home!!! ! MLS#2089073. Horizon Realty Group. Incredible views from both deck and balcony. MLS#2088911. Horizon Realty Group. Built in BBQ with island and kegerator, large covered patio, spa. MLS#2090665. Dapper Residential, LLC. This stunning home includes Lennar's Everything's Included features such as granite countertops, 42" raised panel cabinets, GE Stainless Steel Kitchen Appliances, 2" faux wood blinds, Lennar Home Automation, and much more! MLS#2090427. Lennar Sales Corp.
Tiburon - Downstairs is a large island kitchen w/breakfast nook which opens to family room! Elegant formal living/dining room areas! MLS#2090238. Urban Nest Realty. Oasis backyard w/built-in BBQ, trees, grass & covered patio. MLS#2090522. GK Properties. Great Courtyard Creates More Indoor/Outdoor Living. Incredible Entertaining Home. 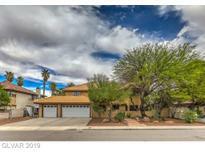 MLS#2090413. Urban Nest Realty. Home features: 2,560sqft, 3BR, 3.5 BA, Den w/double doors, custom security screens, shutters, large kitchen w/super kitchen Island, quartz countertops, 9' Ceilings, NextGen with it's own family room that's been preplumbed for a kitchenette and includes it's own private bedroom and bathroom. So many upgrades - MUST SEE!! ! MLS#2090518. BluePrint Realty LLC. 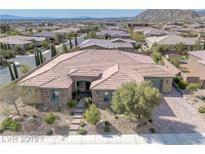 Summerlin Village - Too much to list. See 3D virtual tour. MLS#2089908. Nationwide Realty LLC. Coventry Homes At Anthem - Fantastic Anthem 2-story has lots of upgrades and tons of curb appeal~Soaring ceilings and large windows bathe this home's interior in natural light~Granite counters in kitchen and cultured marble in master bath with his and hers vanities,Beautiful TUMBLED TRAVERTINE all downstairs & all bathrooms,real wood flooring in master bedroom~3 Car garage & park like backyard with spa and sparkling in-ground pool with waterfall~2 NEW A/C & HEATING SYSTEMS MLS#2090366. Evolve Realty. Centennial Jones - This fascinating home is completed w/covered patio, large sparkling Pool surrounded by concrete slabs, pavers & turf. MLS#2090616. GK Properties. The Shores - AC & Furnace recently upgraded, plantation shutters and so much more. Ready for new owner! MLS#2090648. Desert Vision Realty. Horizon Vistas - Exterior of home painted just last year. MLS#2090348. Local Realty. Highlands Ranch - Newer wood laminate flooring, plush neutral carpet, shutters, TAPCO security screens on ground level, granite counter tops, huge island, built in refrigerator, spacious loft, large master suite, ceiling fans, professionally landscaped front and back. Move in condition! 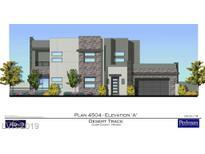 MLS#2089759. Elite Realty. 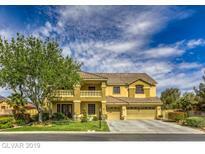 Nevada Trails - This Las Vegas two-story offers an in-ground pool, a den, and a three-car garage. MLS#2090123. Opendoor Brokerage LLC. Horizon Vistas - All outside furniture & TV stays. Buyer to verify info. MLS#2090684. Real Estate of Las Vegas. Gowan Fort Apache - Fantastic backyard w/covered patio, sparkling Pool & Spa. MLS#2090495. GK Properties. Hillcrest Manor - This home is a MUST see. MLS#2090539. United Realty Group.